Q. 1. How has gold demand trend made a difference with monsoon rainfalls in India and how has it affected the forecast upon the impact of physical gold and silver? Finance Minister Arun Jaitley surprised the market by keeping the import duty intact and imposing an excise duty on gold jewellery sales from March 1, leading to a one-and-a-half-month strike by jewellers resulting into a fall in gold demand in India. However, falling interest rates and a better return from bullion so far in 2016 could lure more consumers. So, price fall would trigger more fresh demand coming in resulting into physical offtake to go up. The year 2016 is expected to end in a high note in terms of physical demand of gold. Past 6 months, gold import figure for half yearly was almost 7.5 billion dollar, which means approximately 180 tonnes. As compared to last year, there is a 50-60% drop down in the market for reasons such as pan card issue, excise duty issue, 10% custom duty which has hugely affected the demand. After 2 years of El Nino effect, this year monsoon has fared really well with 5% overall rise as compared to last year. This would surely lead to an increase in Rural demand of Yellow metal. During sowing season, farmers normally sell gold for purchasing of seeds and fertilizers. With normal monsoon, however, they get better kharif output and expectation of higher rabi output. So, normal monsoon rainfalls always give higher chance for consumer demand of gold to improve. Gold demand has been lackluster so far this year with the government’s strict norms on bringing jewellers under excise duty and also mandatory PAN (permanent account number) requirement for cash jewellery purchase beyond a limit. All these acted as a negative factor for gold purchase. But, with normal monsoon rainfalls giving more disposable income at the hands of farmers, who hold nearly 70 per cent of India’s gold holding, would certainly improve demand going forward. Q. 2. Options trading on MCX is on cards. How is it beneficial for the industry? I have been saying this since 3-4 years during the Pre-budget comments and finally it seems that the Options product would be finally introduced. It will be a boon for a bullion trader and jeweller. By using this instrument they can hedge their future position and in a way provide the necessary risk cover. An investor will also be highly benefitted from this instrument. He/she will get a chance to invest in a larger quantity of metal with a lower investment and reap benefits till the expiry date. Q. 3. What is your forecast for gold and silver prices for Diwali & New Year and how is it beneficial to Indian consumers? Gold and silver prices are likely to remain subdued this calendar year on strengthening dollar against major global currencies and a host of other weak fundamentals acting against it. With some intermittent volatility, gold may touch $1200 by the current calendar year end translating thereby Rs 28500 per 10 grams by December. Following the European Central Bank’s official announcement of a withdrawal of bond purchase programme prior to the end of quantitative easing, the dollar is likely to remain strong against major global currencies. With Brexit fear mounting against the United Kingdom with the country’ possible departure from the European Union by 2019, pound sterling has already hit 31-year low. So, strengthening US dollar would create selling pressure in gold resulting into its price to remain weak by Diwali and the New Year. Indian jewellery sales have fallen since the start of the year, hit by higher gold prices and delayed purchase decisions by consumers who had hoped for a cut in India’s 10 per cent import duty on gold in the national budget. Gold demand in India has remained lower this year with consumers opting for alternative investment avenues including paper gold. So, physical demand of gold was lower so far this year. As data from the Commerce Ministry reveals, India’s gold import bill fell to a decade low at $7.2 billion in the first half of calendar 2016. Physical demand has been lackluster so far this year as consumers wait for price fall. The level of Rs 28500 per 10 grams, therefore, would provide a good opportunity for buyers to book their share of gold. But, the fall in global markets may not reflect in India fully as rupee would proportionately depreciate along with dollar’s appreciation. But, the price decline ahead of this festive season will definitely change the mood of consumers to help increase buying sentiment. Q. 4. What would be the possible impact of presidential election in the US on gold? Elections always tend to influence financial markets in either a positive or negative way, mainly depending on the general perception as to whether the incumbent in the White House is going to be a change for good, or not as the case may be. There are some interesting historical precedents when it comes to stock market reactions immediately after a presidential election, which in turn, has a definite influence on other financial instruments and markets, such as the price of gold. Every US election staged since 1888 has resulted in average stock market decline of about 0.5% in the first three days of the first new presidential week. The longer term outlook is that stocks have historically fared better over the full four-year term, when a Democratic administration has taken up residence in the White House. The US presidential Election date is November 8th, 2016. Q. 5. How will interest rate hike by the US Fed impact gold ? Interest rate hike as expected in December will be negative for gold as investors would seek refuge in alternative investment avenues including real estate, stock market, bond and others for high returns. So, the interest rate hike would trigger a pull back of investment from gold resulting into a sharp fall in gold prices. Since, US labour department has presented a strong manufacturing and job data, speculations are rife for the December rate hike. Markets, however, would also consider other important factors including physical demand, a pull back in monetary easing by the European Central Bank etc. before going for a knee jerk reaction. Q. 6. What are new product innovations at RSBL? RSBL is looking to launch new products this season to lure customers in coins, biscuits with customized products. Currently, RSBL has only two varieties in Platinum i.e. 5gm and 10gm. This Diwali, we have added more denominations in Platinum i.e. 1gm,2gm,20gm & 50gm. Furthermore, designer Gold jewellery of 2gm to 10gm have also been added as product extensions and both platinum and Gold jewellery facilitate greater investment opportunities and buyback guarantee. Q. 7. What are your suggestions to the viewers with respect to investing in Gold and Silver, following you? I would recommend everyone to invest in Gold & silver with whatever little savings you have as it's the most safest investment that can be inherited and endured too. Government has recently started with new policies such as gold sovereign bonds which is one of the best investment policy. You can loans at 1% in International market at 2.5% interest rate. With the wedding season around the corner, more than 50-60 lakh marriages are taken place throughout a year and a wedding ceremony would by default mean buying gold. Therefore, this would give a rise in the gold imports as well. New monsoon fund will be allocated and the demand will increase for gold and silver. Whenever the gold prices decline, people should invest more often in Gold, Silver and Platinum as it will give better returns. Last couple of years have not been favourable for Silver and Platinum but as per the current industry standards, Investment in Silver and Platinum are definitely worth earning returns in the years to come. Mr. Prithviraj Saremal Kothari is a renowned name in the Gold Silver and Platinum Bullion Industry. He has been instrumental in the development of the bullion market in India. A commerce graduate from the Mumbai University, Mr. Kothari has been in the family business of gold trading since over 30 years and counting. As one of the promoters, he has almost single handedly steered RiddiSiddhi Bullions Limited (RSBL) to the top 10 unlisted public companies in India in terms of sales turnover as per BS1000. He has given some crucial advice to the Indian Government in helping them make the bullion markets more organized. 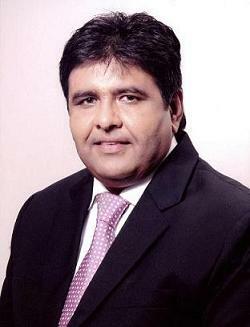 He has been the pioneer in introducing 'Instant International price based INR denominated bullion trading in India'. He is also on the advisory committee of the Multi-Commodity Exchange of India (MCX) and has advised MCX and NCDEX for devising successful gold and silver contracts. In the past, He had served as the President of the Bombay Bullion Association (BBA). As a president, he had played a crucial role in promoting BBA in the international markets. He has played a vital role in the introduction of gold ETFs in India. Under his vision, RSBL has successfully launched India's first and only electronic over the counter bullion trading system, RSBL SPOT. He has been felicitated with the prestigious Jain Ratna award twice, once by Honourable President of India, Smt. Pratibha Devi Patil on 13th March, 2012 and second time by Honourable Chief Minister of Maharashtra Mr. Prithviraj Chauhan on 23rd April, 2013 for contributing remarkably towards the well being and upbringing of the Jain fraternity. Photo Caption: Mr. Prithviraj Kothari, Managing Director, RiddhiSiddhi Bullions Ltd.